Kim Jong-un, the mysterious North Korean leader, has not been seen in the public for the last 34 years giving rise to a wide range of speculations. While some news agencies say that he is indisposed and needs some time to recover from his illness, there are others who suggest that he has perhaps been ousted in a coup. Kim, who last made a public appearance on Sept 3 when he attended a concert, was seen limping on that occasion. Since Kim’s appearance is central to all state led propaganda, his disappearance has not gone unnoticed. Though there are sections of the press which suggest that the leader of this highly secretive country is ailing, they have been unable to pinpoint what exactly has been bothering the young leader. Maybe it’s gout, unidentified sources tell South Korean reporters, or diabetes, or high blood pressure. A thinly sourced British report says the Swiss-educated dictator has been laid low by a massive cheese addiction. A headline in Seoul offers up the possibility of a common South Korean obsession: fried chicken and beer. 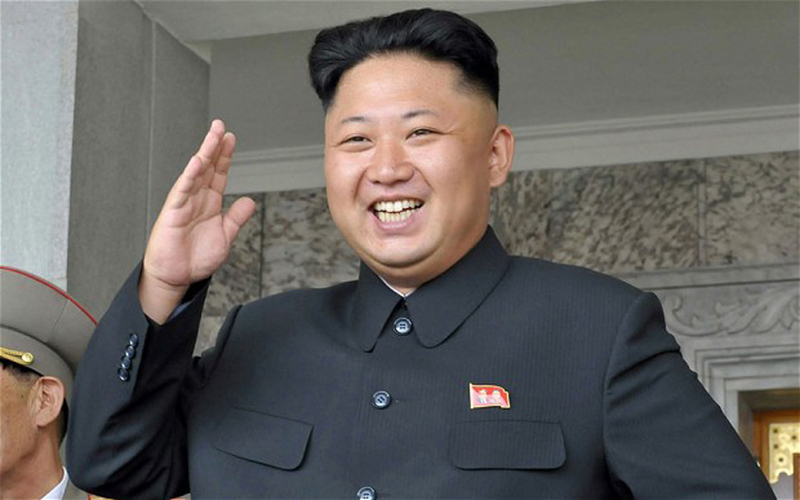 However, a source from North Korea has been quick to stress that Kim is still in “total control”. “He injured his ankle and knee around late August or early September … because he is overweight. He limped around in the beginning but the injury worsened,” the source told Reuters. U.S. and South Korean officials told The New York Times that there is no immediate evidence that there has been a coup. “The last time was when everyone was predicting that Kim Jong-un would be pushed aside by his more experienced uncle, and look what happened to him,” a senior official told the paper. After surviving several earlier purges, Kim’s uncle, Jang Song Thaek, was publicly shamed and then executed on treason charges in December 2013. Toshimitsu Shigemura, a professor at Tokyo’s Waseda University, told The Telegraph that recent events in the country, including reports of a ban on new travel passes, could point towards an attempted coup, or suggest that the authorities there have uncovered “some sort of plot against the leadership”. Remco Breuker, Professor of Korean studies at Leiden University in the Netherlands, said his continued absence could suggest a power shift within the state. Some Pyongyang watchers also suggest that Kim may have been sidelined in a power struggle, a scenario they say was reinforced by the unexpected visit on Oct. 4 of a high-level delegation to Incheon, South Korea. As North Korea’s ruling party prepares to mark its 69th anniversary Friday, the world will be watching to see if Kim will attend. His absence would not in itself be all that important or unusual — such anniversaries are generally given more weight when they are landmark years, though he attended the celebrations in the last two years. Friday’s event marks the founding of the ruling Worker’s Party of Korea. Kim’s absence would not in itself be all that important or unusual – such anniversaries are generally given more significance when they are landmark years, though he attended the celebrations in the last two years. Even so, because the young leader has not been shown in the North Korean media for the past month, his attendance at the event has taken on more meaning. During a surprise visit to South Korea last week to attend the closing ceremonies of the Asian Games in Incheon, three senior North Korean leaders assured their South Korean counterparts that Kim was healthy, but that has done little to calm the rumors abroad that he was unwell. “Such vanishing acts would be most unusual in democracies, but in totalitarian North Korea, Kim is the state. He is free to come and go as he pleases,” Lee Sung-yoon, a North Korea expert at Tufts University’s Fletcher School of Law and Diplomacy, told The Times.